Michael is recognized as the foremost expert on strategic planning, strategy execution and performance management for mission-based organizations and entities with complex governance structures. Michael has personally helped to develop strategic plans and implement strategy management approaches within NATO, the United Nations, the International Maritime Organization, the Inter-American Developmental Bank, the US Department of Interior, and the US Army Medical Command. Michael notably authored the internal global guides on strategic planning and business planning for the United Nations Secretariat. His experience spans a host of treaty-based organizations, non-governmental entities, quasi-governmental entities, non-profit organizations, foundations, and associations, as well as federal, municipal and county governments. 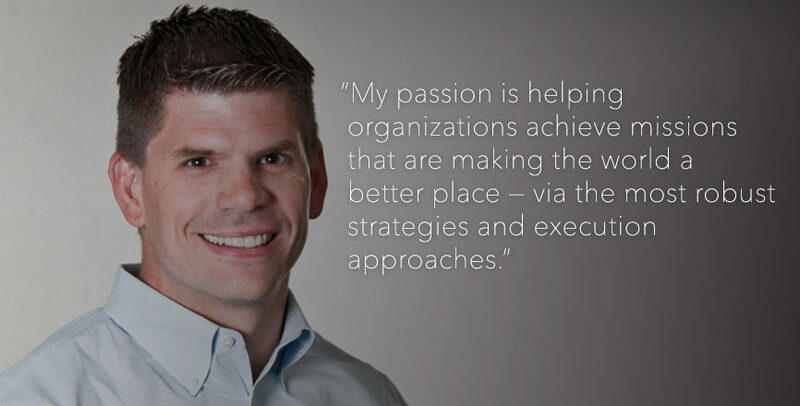 Michael works directly with client leadership teams for facilitation, coaching, consulting and training. Michael is a graduate of Princeton University where his research focused on Japanese management practices during the Total Quality Management movement. DRI is benefiting greatly from the changes that SMI inspired.